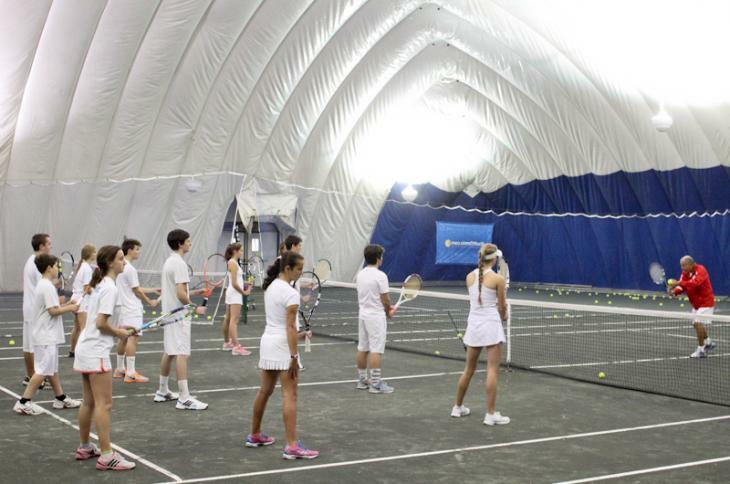 Vineyard Youth Tennis and the YMCA confront aftermath of bubble collapse but both organizations said talks were ongoing. The collapse of Vineyard Youth Tennis’s bubble structure during a northeaster earlier this month has added a new complication in the proposed merger between the organization and the YMCA. “This adds another element of discussion...in terms of what our capabilities are,” Vineyard Youth Tennis board chairman Christopher Scott told the Gazette Wednesday. The organization began exploring the possibility of a merger with the YMCA following the announcement that it’s sole benefactor would no longer be able to fund the program. After contributing some $12 million to the organization, Gerald DeBlois announced he will discontinue his funding after this summer. That left organization leaders searching for alternatives to continue offering free tennis instruction to Island youth as it has for 20 years. A merger with the YMCA would require approval from the town of Oak Bluffs and the Martha’s Vineyard Commission. In preliminary talks, the two organizations discussed allowing adults to use the tennis facilities as a way to offset free lessons for children. The bubble covered two courts and allowed for indoor tennis year round. Since it collapsed, Vineyard Youth Tennis has been using indoor courts at Airport Fitness. Mr. Scott said the organization will have to take a step back and reassess how they plan to continue to offer tennis instruction to Island children. Mr. Scott estimated that replacing the bubble could cost hundreds of thousands of dollars. He said merger or no merger, Vineyard Youth Tennis is here to stay. “Our primary goal is to create the best situation for Island kids and to continue the legacy of Vineyard Youth Tennis,” he said. I think it would be a terrible idea to merge with the Y! The Rink is going in that direction and they will eventually lose all control of that facility. I am not sure why organizations want to join forces with the Y they have there own issues they need to sort out, they are finding out that there facility has major structural issues and mechanicals that are failing already. Not a intelligent move if you ask me.